Two months ago, whatsapp introduced the whatsapp web client which is the desktop version of its messaging service but it was only compatible with Google chrome browser. Now WhatsApp have to announced that the web client is now compatible for opera and Firefox which means you can now use it on both Firefox and opera browser. The sign up process still remains the same as on chrome browser. ==> open web.whatsapp.com on your browser. ==> open WhatsApp on your phone, press the menu option and select WhatsApp web. ==> scan the Qr code displayed on your web browser with your mobile phone. ==> that's all. 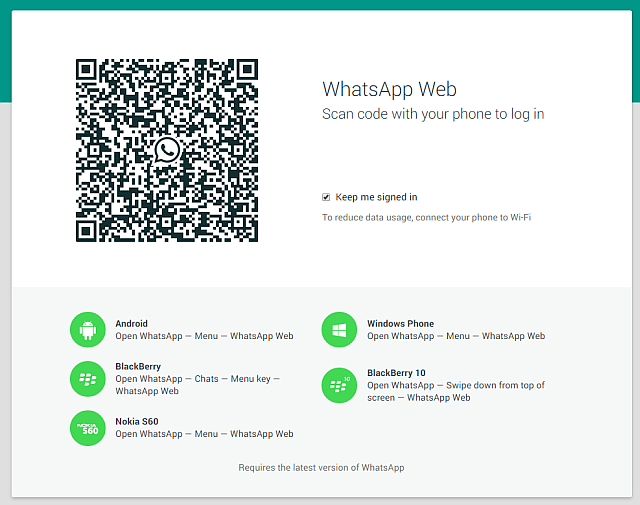 The WhatsApp web client will be automatically connected. Note that your phone must be switched on and you must also turn on data for the web client to work. Unfortunately iOS users still can't make use of this feature. But it's available on other platforms including the Nokia S60 devices. If you have any question, you can ask in the comment box below.